When you’re buying a home, there are multiple ways that you can go about paying for it. You can secure a mortgage by finding a bank or credit union in your area that offers home loans. There are also plenty of online lenders, like Rocket Mortgage and SoFi. You also have the option of getting a loan through a government-sponsored enterprise (GSE), such as Fannie Mae. Chances are, this isn’t the first time you’ve come across the name Fannie Mae. When the recession hit in 2008, the government bailed out Fannie Mae along with its counterpart, Freddie Mac. Technically called the Federal National Mortgage Association, Fannie Mae exists to help make homeownership a reality for families across the country, including those that may be struggling to stay afloat financially. In fact, Fannie Mae has been a major player in the housing market since its inception back in 1938, in the midst of the Great Depression. By the end of the first quarter of 2015, Fannie Mae had backed the financing of about 190,000 homes and backed more mortgages for single-family homes than anyone else in the secondary mortgage market. All Fannie Mae loans actually come from outside lenders, as it’s not part of the primary mortgage market. Fannie Mae routinely buys mortgages from banks and other private lenders, puts them together and turns them into mortgage-backed securities. Then, it sells those securities to various investors worldwide. In doing so, Fannie Mae ensures that there’s liquidity in the market, meaning that mortgages can easily be bought and sold. And it leaves private lenders with enough security to work with more borrowers. In order to partner with Fannie Mae, lenders must go through an application process and meet certain guidelines. For instance, they must be open and honest when processing subprime loans for people with poor credit and others who fall short of income requirements. In exchange, Fannie Mae assumes the risk attached to borrowing and protects these mortgage lenders when homeowners don’t comply with their loan terms. It does business with so many different lenders that sometimes homebuyers aren’t even aware that Fannie Mae is backing their loan. Is Fannie Mae backing your loan? To find out, simply go to its website and use the loan lookup tool. You might come to discover that Fannie Mae is behind your mortgage. If that’s the case, you could have access to special perks, like the Home Affordable Refinance Program (HARP). Fannie Mae only deals with conforming loans for residential properties. That means it backs mortgages up to $453,100, or $679,650 if you’re buying a single-family home in a high-cost area. If your dream home requires a jumbo loan, you’ll have to look elsewhere. To qualify for a Fannie Mae home loan, you’ll need to hunt for an approved lender and complete a uniform residential loan application. It’s a good idea to set aside some time to get all of your financial documents in order, including your bank statements and tax forms. 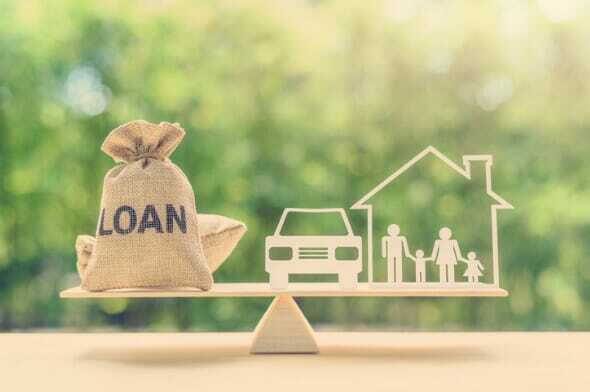 Your mortgage lender will look at multiple factors to determine whether you’re eligible for a loan, how much money you’ll be able to borrow and what your loan rate will look like. Securing a loan may be tough if you don’t meet the criteria. Although there are exceptions, your debt-to-income ratio typically can’t exceed 36% of your monthly income. Occasionally those with a good FICO credit score and financial reserves might get a pass. Prospective homebuyers looking for a fixed-rate mortgage will need a credit score of at least 620. A minimum score of 640 is necessary to qualify for an adjustable-rate mortgage (ARM). Having a higher score can give you access to lower interest rates. You could also make a down payment as low as 3% if you’re buying a house for the first time. Trying to get a Fannie Mae loan with bad credit is inherently more difficult, though. You may have to go the extra mile to prove you can handle a mortgage. If that’s your dilemma, you could apply for a mortgage backed by the Federal Housing Administration (FHA), since it tends to be less stringent with borrowers whose scores are in the 500 to 580 range. You could also highlight the fact that you’ve kept up with your rental payments, or agree to make a larger down payment to entice a lender to give you a mortgage. If nothing else sticks with you, remember that Fannie Mae doesn’t lend any money directly to homebuyers. Instead, it acts as a bridge between lenders and consumers who can both benefit from having Fannie Mae back mortgages. From the beginning, Fannie Mae has helped make home buying more accessible and affordable for Americans. It can be tough to attain a complete view of the current mortgage rates available on the market. If you know where you want to live, your target home price and the size of your prospective down payment, you can utilize SmartAsset’s mortgage rates page. 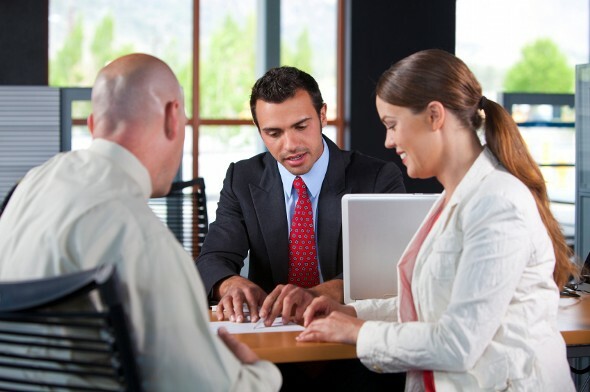 The SmartAsset advisor matching tool can aid you in finding a fiduciary financial advisor to help you with your home purchase. First, you’ll answer a series of questions about your situation and goals. Then the program will narrow down your options from thousands of advisors to three who suit your needs. You can then read their profiles and interview them to learn more. From this, you can choose whom to work with in the future. This allows you to find a good fit while the program does much of the hard work for you. The post What You Should Know About Fannie Mae Loans appeared first on SmartAsset Blog.